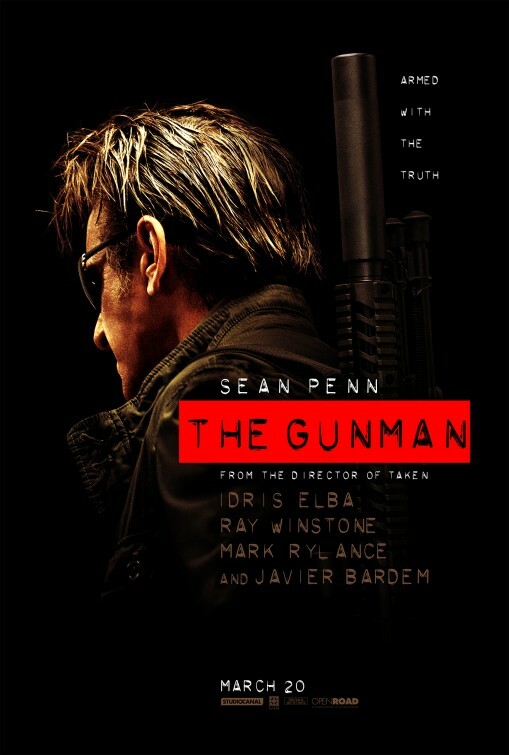 Although he already has a distinguished acting career with two Oscars to his name, Sean Penn is at his most desperate to leave an impression in The Gunman, which sees him try to bring in the Taken crowd – even going so far as to hire the director of the first film, Pierre Morel – with a grittier and action-orientated role that’s different to most of the stuff he’s done before. The thing is, however, while Penn certainly has the dramatic flair to carry a movie like this he doesn’t bring much to the action side of things. A lot of it sees him just avoid gunfire and getting into scraps that have been better choreographed by the likes of Liam Neeson and other over-50 action stars; Penn is unable to introduce anything new to the game and ends up feeling like a pawn in his own game. It’s particularly worrying when Penn is not only the star, but is also listed as a producer and even has a co-writing credit. 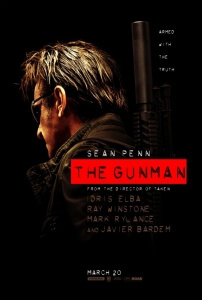 He clearly has the most control over what goes on in this adaptation of Jean-Patrick Manchette’s book The Lone Gunman, and yet he cannot seem to make his character either interesting or easy to root for – especially after one scene where he simply punches a woman to death, even though there were many other ways around that scenario. Not even a sub-plot which sees him suffering from a severe head injury can really get us to root for him fully, despite that section being handled okay by Morel’s steady direction. On a side-note, Penn’s character seems to constantly suffer from “Jacob-itis”, a condition which sees him allergic to shirts for some reason and allowed full reign to show off his muscular torso solely for the purposes of attracting the female audience. However, it comes off as increasingly self-indulgent with every time he appears shirtless, and since his condition – which can be treated by regular trips to Primark – adds little to the plot it’s just shameless eye candy. For goodness’ sake, Penn, you’re a two-time Academy Award winner – you don’t need to put yourself on display like this for the world to see. The rest of the cast, particular its higher-grade supporting players, don’t have much to do which is a disappointment considering who else is in it. Javier Bardem, for instance, spends most of the movie drunk and jealous of Penn’s relationship with the attractive nurse Annie (Jasmine Trinca), while Idris Elba shows up much later in the film with not much to do except go on about metaphorical treehouses. The fact is, since Penn is in pretty much every scene in the film, his intimidating presence overshadows everyone else’s attempts to fully stand out, including future BFG Mark Rylance whose raspy voice suggests friendly menace as one of Penn’s former colleagues. Those going in expecting something along the lines of a twisty and complicated plot, similar to anything by author Robert Ludlum and his Bourne books, will probably be taken back by how predictable and clichéd it can be at times. It’s never entirely made clear what Penn and his comrades do when we first meet them – something along the lines of a humanitarian contract with orders to assassinate an important political figure in the Congo – so when we see them eight years later in much more important positions it’s difficult to piece together how one goes from one to the other. The whole thing is basically Bourne-lite, minus the espionage and amnesiac protagonist (aside from aforementioned head injury sub-plot). As a director, Morel continues to prove why he made the first Taken film the most competently-made out of the series and manages to bring some tension to the action scenes, though they too can be far too violent for violence’s sake including that traumatic woman-punching scene. He is a stylish action director, but is saddled with material that can never be made to be highly enjoyable like Taken especially when it takes itself so seriously.